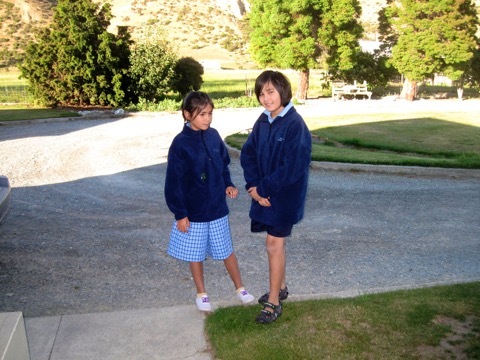 Mark and Rebecca have their first day at their new school today, the Waitaki Valley School. The past few weeks have been a challenge for me, settling in to a new job. Now Mark and Rebecca face a similar learning curve with their new school and new friends.